Naim is one of the leading township developers in Sarawak, with flagship developments in Miri, Kuching and Bintulu. Naim is also a Class A Bumiputera Contractor with ISO 9001 certification and has recently emerged as one of Malaysia’s largest Bumiputera contractors. 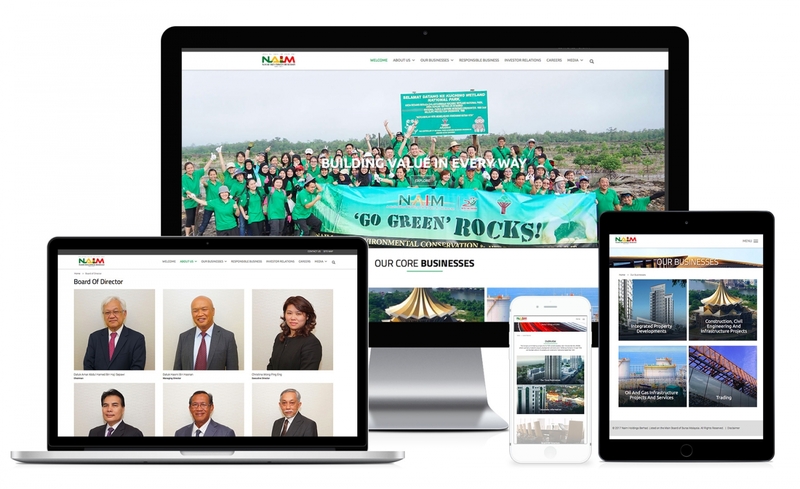 We help Naim Holdings Berhad to revise their previous website into a website with dynamic content modules and with content management system support, and keeping the overall identity and look match with their sub-sites like Naim Property website, to allow them easily insert things like tabs, accordion, parallax, banners, photo gallery, collage type banners etc. without any programming knowledge needed. Board of director easily manage and arrange for the position display.